In recent years, Yankees fans have seen how hard it is for former everyday players to join the team as a bench player and struggle to continue performing. 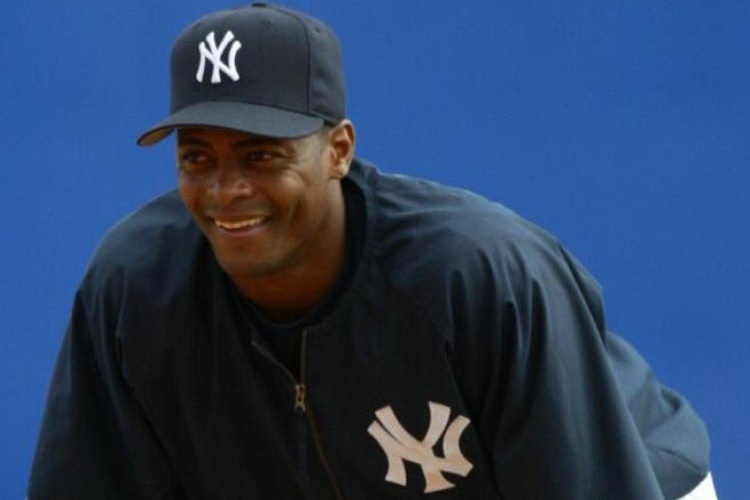 But in the late-90s, when the Yankees were in the middle of their dynastic run, they had a middle infielder, who could not only play second, short and third, but who could also hit over .300 and steal bases seemingly at will. Former Yankee and 1998 World Series champion Homer Bush and author of Hitting Low in the Zone: A New Baseball Paradigm joined me to talk about choosing a baseball career over football, getting traded from the Padres to the Yankees for Hideki Irabu, mastering the role of a bench player, being part of the 1998 Yankees and the celebrations after the World Series, getting traded to the Blue Jays, making his own return to the Yankees, being part of Old Timers’ Day, writing his book on hitting and his career now as Director of Youth Programs for the Texas Rangers.